As the interior of America became more accessible in the 1800s, European and American artists arrived with their sketchpads. Back in the studio, their visual notes guided their dramatic paintings of nature’s splendor. From 1855 to 1859, Richardt visited several of the country’s famous natural wonders: Niagara Falls, Mammoth Caves, Virginia’s Natural Bridge, and the upper reaches of the Mississippi River. 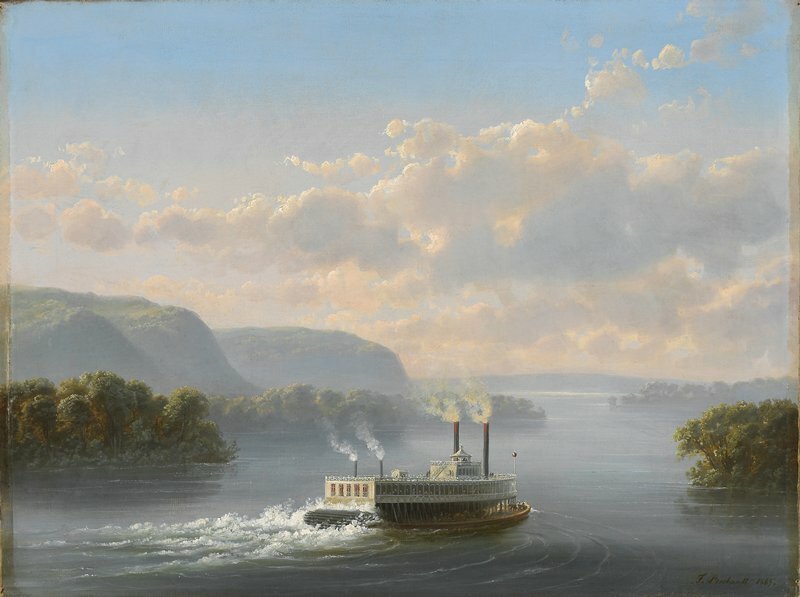 Arriving in St. Paul in 1857, he immediately began to explore the region’s chief geographical landmarks, such as Lake Pepin and St. Anthony Falls. Nine years later, back in Denmark, he based this painting on sketches from that trip.